In general, ideas about architecture are conveyed through the popular visual media. Since the mid-nineteenth century, German-speaking schoolchildren have been strongly conditioned by the depictions of architecture and cities contained in their grade school primers. Virtually without exception, these illustrate fictive, stereotyped situations. Ulrich Pantle’s historical survey examines the sustained shaping of our collective awareness of architectural and urban planning principles by one type of mass medium. The primers’ fictions, nurturing the ideal of a free-standing suburban house to this day, can be interpreted in terms of their urban impossibility, but also in terms of their utopian potential. 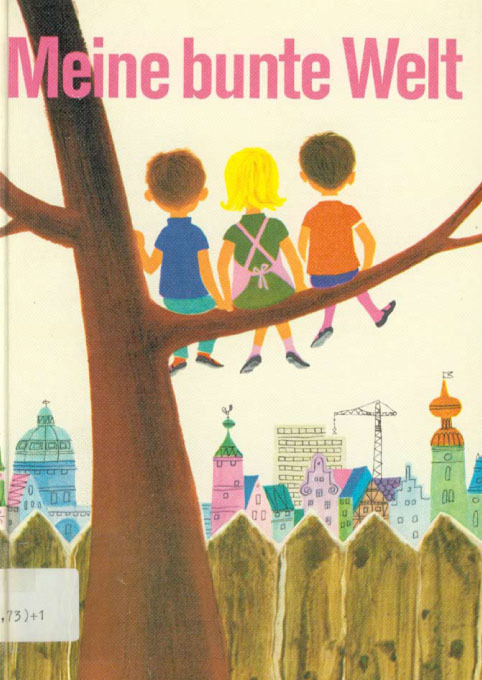 Cover of "Meine bunte Welt" (My colorful world), 1973.